A cutting board is a very useful item for a kitchen. The best wood cutting boards will last longer. John Boos is a leading manufacturer of wood and stainless steel food service products in the USA and is renowned for the Boos Blocks and Cutting Boards since 1887. John Boos has been manufacturing a variety of gorgeous cutting boards and butcher blocks to meet the increasing demand of residential and commercial markets that can meet the various functional needs. 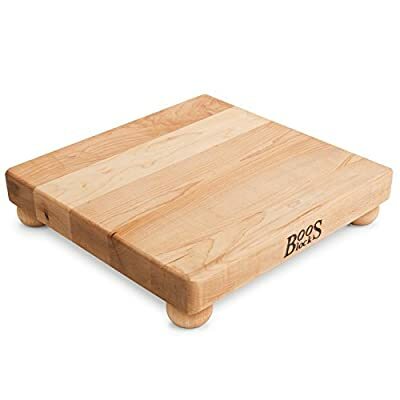 Their cutting boards are available in various sizes, materials, shapes, and weight. One can find a Boos cutting board or a block to chop or slice anything one can imagine. The boards do not dull the knives and they stay sharp for a long time.The butcher blocks were first made from North American hard rock maple. These cutting boards are made in various designs with finest quality and workmanship. These are laminated with edge grain or end grain. American cherry and walnut and Appalachian red oak are also most commonly used for making John Boos cutting boards. The wood in general is safer for food preparation than plastic. JB&C continues to use these wood species and complies with strict guidelines and regulations for the Food Service industry. Most John Boos wood and metal products are listed with NFS (The National Sanitation Foundation). Their cutting boards have received acceptance from various professional and domestic chefs throughout. The cutting boards are made of different species of seasoned hardwood that can withstand the knives and do not deform or split in normal environment. A tight grained wood with end grain lamination is more suitable as it can bear the brunt of knives and does not absorb moisture or bacteria. These boards are available squad rectangular, square, round or oval shapes to suit the taste of the users. The sizes of these boards range between 6″x6″ and 30″x30″ the thickness may vary from 1″ to 3″. A thicker board has more weight and stability and taller people can work comfortably on it. The user can select the board depending upon the space available and the use. 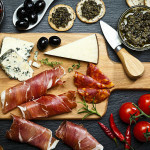 A large board is preferred to get a larger working surface to cut bigger pieces of meat whereas a smaller board can be used only for small quantities of fruits and vegetable. Some cutting boards are carved with grooves around the edge for catching any juice flowing over the countertop. Some boards have side finger grooves for lifting them easily. The board can be reversible so that you can use both sides. John Boos cutting boards and treated with olive oil to seal them and make food safe. Small feet provided on the lower side save the board from any liquid spilled on the countertop. However, only one side can be used. Price is one of the major factors that can influence the selection. Maple is considered as the best material for cutting and butcher boards. It is very hard and heavy wood with tight closed grain. It is the most suitable wood for cutting blocks for its resilience, durability, sanitary and knife-friendliness, ease of cleaning and inhibiting bacteria growth. This is a John Boos maple hardwood reversible board with an edge grain construction and has two flat sides. It has a creamy oil finish, rounded edges and FDA approved. There are hand grips at the end for easy transportation. It is quite thick. Tall people will feel more comfortable working on this thick board. RAO3 is a large heavy-duty cutting board that is beautifully crafted. 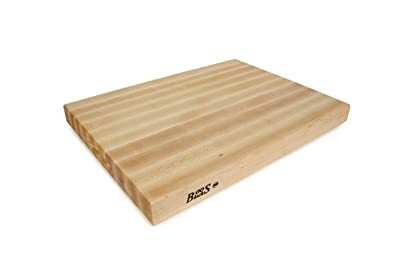 This board is a real work horse that will suit a variety of food preparation tasks in a kitchen such as slicing and dicing vegetable and fruits, chopping meat, or mincing fresh herbs. This is another impressive, large, fine quality John Boos cutting board with 1.5 inch thickness. It is also made of maple wood c with an oil finish and reversible flat surfaces that can be used for slicing, dicing, chopping, mincing and other tasks. Chop-N-Slice board has edge-grain construction. This is a finely crafted and durable board which will last for many years. 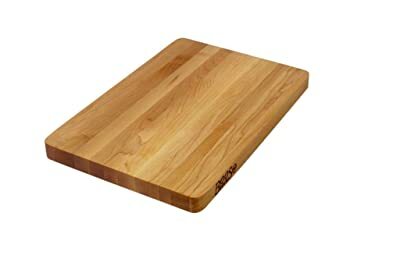 As maple is most favorite wood for cutting boards, this smaller size board is also made from maple with edge-grain lamination and flat smooth natural oil finished top surface. It is 1.5 inch thick, sturdy and durable food grade board that will not harbor bacteria. This cutting board requires a small counter space and is most suitable for a small family for day-to-day use. It can be used for a variety of kitchen preparations like chopping, slicing, mincing and more. It has slightly rounded edges, and a smooth surface for working. There are four wooden feet attached to its base with metal screws. The feet will save it from a wet counter surface.